The Dave Miller Set is an important group in the history Australasian music, and one that has been long overlooked for too long. They were one of the most popular and hardworking live bands on the east coast scene in the late '60s. They are still fondly remembered for their classic psychedelic single "Mr Guy Fawkes", which was Go-Set's Single of the Year for 1969, but they are significant for several other reasons, not least the emergence of guitarist and composer John Robinson, one of Sydney's original 'guitar heroes', who went on to further fame with Blackfeather and also became an influential guitar teacher. Most importantly, the DMS was a key chapter the career of New Zealand-born singer-songwriter Dave Miller, a performer as remarkable in his own right as was his group. Dave is a crucial link between the formative music industries of Australia and New Zealand. He honed his craft in thriving Christchurch scene and since they were teenagers he has been a close friend and colleague of most of the top New Zealand acts of the era including Max Merritt, Ray Columbus and Dinah Lee. The DMS career spans the fascinating transitional period from the end of the "scream era" in 1967 to the start of the infamous Radio Ban in 1970. They were one of the first Australian acts to pick up on the heavy rock/progressive rock trend pioneered by overseas acts like Cream, Hendrix, Free and Led Zeppelin, a direction which was developed after 1970 by groups like Kahvas Jute, the La De Das and Blackfeather. Their style was forged on Sydney's university and college circuit, and in the thriving inner-city club scene that was fuelled by the influx of American servicemen on "R&R" leave -- just as Dave's hometown of Christchurch had been 'revved up' several years earlier by the arrival of American personnel as part of "Operation Deep Freeze". The DMS, like many of the other groups that played around Sydney at that time, are not well remembered today, but their various members went on to form some of the most notable bands of the early 70s -- Mecca became Kahvas Jute, Gus & The Nomads evolved into Pirana, Levi Smith's Clefs spawned no less that three major bands Fraternity, Tully and SCRA, and the DMS itself of course became Blackfeather. Despite a solid following throughout NSW and in Queensland, the DMS were victims of the infamous Sydney-Melbourne rivalry and they were almost completely ignored in Victoria -- Stan Rofe was the only Melbourne DJ who played them -- and unfortunately they never managed to establish a national presence. As with his first band Dave Miller & The Byrds, Dave handled virtually every aspect of the DMS business affairs, and his entrepreneurial skills guided them to considerable success in Sydney, in New Zealand and even as far afield as Fiji, and it would be difficult to name another local self-managed act of the period that achieved anything like the same success. As someone with considerable experience and ability in this area, Dave's firsthand observations on the management (at that time or the lack thereof) are also of great interest. Another important thread is Dave's association/collaboration with influential industry figures -- Eldred Stebbings, Ivan Dayman, Graham Dent, Nat Kipner and Pat Aulton. Dave moved easily in industry circles, had a good rapport with the media, was a tireless promoter and organiser on behalf of his band, and his collaboration with Festival house producer Pat Aulton created some classic recordings. 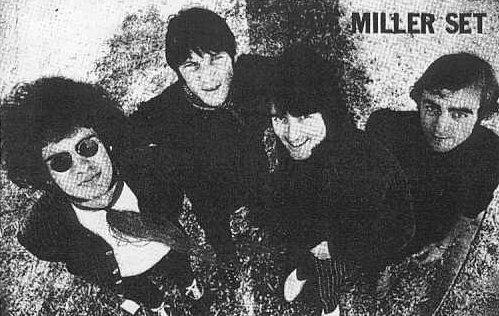 The five records that The Dave Miller Set recorded for the Spin label are among the freshest and most enjoyable Australian pop-rock Singles of the late '60s. Little-known, and too long out of print (come one, Festival, what's the story?) they are genuine classics of their kind. All were produced, arranged and included vocal and instrumental contributions by the great Pat Aulton, one of the most prolific, influential and talented producers of the period. The development of the partnegsubip between Pat and the band is engagingly snapped in the sequence of records -- their 'Animalistic' debut "Why, Why Why", the confident, optimistic strut of Buddy Beui's "Hope" (their first hit single), a superb version of The Youngbloods' "Get Together", their psychedelic masterpiece "Mr Guy Fawkes", and the lost piece of the puzzle, their ill-fated cover of Chicago's "Does Anybody Really Know What Time It Is?" It might otherwise have been a transitional single, but which disappeared into the black hole of the Radio Ban, effectively marking the end of the group's career. These ten sides are also a testament to the band's professionalism, creativity and efficiency as a performing unit. All were done in one or two takes, and Dave reckons that they would typically knock off both sides of a single in a single three-hour session. Dave's bright, clear tenor voice suited a wide range of material, and the variety of styles in which he could perform is a tribute to his versatility. They chose the A-sides well, playing to their strengths, and the arrangements feature plenty of invention and just plain good fun. There's a freshness and sincerity, the essence of the good-time spirit of the DMS, in all of them. They are also a great illustration of one of our recurring Milesago themes -- how Australian bands recorded cover versions of lesser-known overseas songs that were in most cases far better than the originals. The B-sides offer a glimpse into other facets of the band's repertoire, and in the absence of live recordings, No Need To Cry (the B-side of their last single) is about as close as we're likely to get to what the DMS actually sounded like at their peak as a live band, as well as chronicling two of Dave's earliest songwriting efforts. We hope this account will go some way to rectify the previous lack of information about Dave's career before, during and after the DMS and to correct some of the misnomers abut the band. For more detail about Dave Miller and the DMS we exhort readers to read transcript of the excellent Dave Miller interview by our friend Steve Kernohan. We are profoundly grateful to Dave Miller, John Robinson and Pat Aulton for their generous cooperation over many conversations and interviews. Well before he came to Australia, New Zealand-born Dave Miller was already a significant figure in Kiwi music, fronting one of the best NZ 'beat' outfits of the period, Dave Miller & The Byrds. Dave grew up and began his career in the fertile musical scene of Christchurch in the late 50s and early 60s, the city that also gave birth to Max Merritt & the Meteors, Ray Columbus & The Invaders, Dinah Lee and more recently singer Bic Runga and pop heartthrobs ZED. In his teens Dave became close friends with both Ray Columbus and Dinah Lee, and like so many young hopefuls in the City of Churches, he and his friends all looked up to the example of Christchurch's No.1 musical son, the great Max Merritt. With teenagers everywhere, they were smitten by the first wave of rock'n'roll -- Elvis, Little Richard, Jerry Lee Lewis, Chuck Berry, Buddy Holly and The Everly Brothers, whom Dave as a teenager saw when they toured New Zealand ca. 1960. Dave also nominates Cliff Richard & The Shadows as a crucial influence on almost every local band of the time, and in that pre-Beatles period, "The Shads" were for quite some time the model of how a group should look, sound and act. But most of their early firsthand experiences of rock came from the pioneering "downunder" rockers -- Australia's Johnny O'Keefe, New Zealand's Johnny Devlin, and of course Max, whom Dave counts as one of the best performers ever to emerge from the local scene. A feature unique to Christchurch in the early '60s was the influx of American personnel who passed through the city as part of "Operation Deep Freeze", the establishment of the American Antarctic base. Christchurch was chosen because it had the only airfield in the region big enough to accommodate the huge US military transport planes that ferried staff and equipment to and from the base. The American influx gave the Christchurch scene a special "leg up" and it many respects it became the "Liverpool of the south", thanks to the infusion of original blues, R&B and rock'n'roll records brought in by the Yanks, as well as the Fender guitars that were so highly prized at the time (thanks to The Shadows) and so hard to come by in other places. Another more personal musical influence was Dave's friend Hoghton Hughes who worked in a local record shop and whose access to rare import Singles introduced Dave to many classic records of the period by original artists like Jimmy Reed and Chuck Berry. The credit for Dave's start in music belongs to his younger brother Graeme Miller, who also developed a passionate interest in rock'n'roll and took up drums in the early '60s. Dave: "My brother went out one day and came home with a drum kit - as simple as that! Set it up in the lounge room... and taught himself to play drums. Quite quickly, in point of fact." Graeme joined his first band The Numonics in early 1962. They often supported another popular local group led by Maori singer-guitarist Pat Nehoneho, The Saints, which was fronted by dual vocalists Phil Garland and Diane Jacobs. Pat liked Graeme's playing and he recommended him to Phil and Diane when they put together their own band after The Saints broke up. This was The Playboys, with Graeme on drums, bassist John O'Neill, lead guitarist Brian Ringrose (who had just left Ray Columbus & The Invaders), Mark Graham on rhythm guitar, Phil and Diane -- who was soon to be famous in her own right as "Dynamic" Dinah Lee. The Playboys often rehearsed at the Miller house, and Dave sat in and sang with them on many occasions, although he was yet to perform publicly. By this time that Dave was already good friends with Ray Columbus, whose with his band The Invaders were already one of New Zealand's hottest bands and would soon to set the Australian charts on fire with their classic hit She's A Mod. Original Invaders lead guitarist Brian Ringrose was classically trained and already a well-rounded musician, but he had left the Invaders when they moved up to Auckland (at the same time as Max Merritt) preferring to stay behind in Christchurch and complete his tertiary entrance certificate. The Playboys quickly built up a solid following in the Christchurch area. In late 1962 they were invited up to Auckland for six weeks to deputize for The Meteors at Auckland's Top Twenty club while Max and the band were away on a national tour (just before their first trip to Australia). This was not uncommon practice, Dave says -- resident bands in Auckland would often bring in a "locum" group from a regional city like Wellington or Christchurch while they were away on tour, and the substitutes could then be packed off home when they returned, without the risk of losing their spot. But while The Playboys were in Auckland, Dinah was spotted by leading NZ guitarist Peter Posa. He came back the next night with Ron Dalton of Viking Records, New Zealand's major independent label. Dalton immediately offered Phil and Dinah solo contracts and even before the Top Twenty gig had finished they had announced their intention to leave the band. "GIVE UP SMOKING. START LEARNING SONGS. YOU'RE OUR NEW SINGER." "Dinah did her farewell, and I followed her immediately on-stage and did about four numbers at this big venue called The Caledonian Hall. ... it was a huge, big crowd, and I can tell you, I hardly slept for the week prior, I was that damn nervous!" Luckily, Dave proved to be a natural showman and a great addition to the group. This new lineup comprised two sets of brothers -- Dave and Graeme Miller, John O'Neill and his younger brother Kevin-- plus Brian Ringrose. Kevin O'Neill had replaced Mark Graham, who gave up performing to work in his parents' hotel business shortly after Dave joined. "We did all the various gigs around, and I was very closely friendly with a chap called Hoghton Hughes. Now Hoghton, if you don't know, is the brains trust behind the MusicWorld conglomerate out of New Zealand and Australasia -- the budget music label. When I first met Hoghton, he was working in an electrical shop that had record sales -- the predominance of course was the little old 45s -- and I found he was the most hip bloke in town, so I used to buy my records there, and and as a consequence of that we got very friendly. "The reason we took off so significantly in Christchurch -- and when I say took off, it just absolutely skyrocketed -- was the fact that there was an elderly gentleman, his name was Ridings, and he ran a very old-fashioned dance hall and it was called The Latimer. Christchurch has a number of squares and boulevards, and this place in Latimer Square had been going for years. But he decided, on the advent of Merseybeat, that he might try and embrace something a bit more modern. They'd built a new big hall in the centre part of town, just beside the Avon River, the Horticultural Society Hall and he got the licence to be able to put live entertainment in there, dancing, etc., ... and he called it The Laredo. And he used to buy his records from Hoghton Hughes, and he said to Hoghton: "Who would be the best band in Christchurch to put in a venue like that?" And Hoghton, knowing me and knowing what we were all about and liking the band also, said there's only one to even contemplate and that was The Playboys. So this bloke got in touch with me, and we did it, and we pulled capacity crowds into that place -- they used to queue on the street." The Playboys settled into a hugely successful residency at The Laredo, which ran from late 1963 to late 1964. It was a heady period for the young musos, who by that time were earning as much eight pounds per week each from gigging -- pretty impressive, considering that the average weekly wage back then was only around ten pounds! In June '64 Beatlemania took Australia and New Zealand by storm, and Dave and the group were among the thousands who flocked to see the Fab Four play in Christchurch. After seeing the matinee show, The Playboys played their regular gig that night at The Laredo. Dave revealed that, in one of those great "couldabeen" moments, they managed to contact to members of the Fabs and their entourage by phone at their hotel after The Beatles' second show. Things even got to the stage where a couple of the Beatles agreed to come over to the Laredo to join the Playboys on stage for a jam, but the plan was foiled because the Christchurch police would not provide security for the trip between hotel and venue! The Playboys might have remained a local attraction but they got a crucial break in late 1964, which soon set them on the road to national prominence, when they were spotted by Howard Morrison. Howard is part of a famous New Zealand family -- his father Tem was an All-Black, Howard himself (now Sir Howard) is an elder statesmen of New Zealand music and one of the country's best-loved entertainers, and he is the father of actor Temuera Morrison of Once Were Warriors and Star Wars fame. At the time that they met, Howard was the leader of the hugely popular vocal group The Howard Morrison Quartet which had been one of New Zealand's top attractions for almost a decade. Howard and his agent Benny Levin caught a Playboys gig one night when they were in Christchurch, and they were impressed enough to invite them to be the Morrisons' backing group on their upcoming summer tour of NZ holiday resorts. This was to be a special event, and the engagement of the Playboys -- a typically generous act by Howard -- was the turning point in their career. Although Harry M. Miller was keen to take them overseas, Howard was reluctant to leave home and family so he had decided to break up the group. They were about to embark on their farewell tour, the last of the hugely popular "Summer Spectacular" concerts, promoted by their manager, Harry M. Miller, that had played to hundreds of thousands of new Zealand holidaymakers in previous years. It was, as Dave aptly puts it, "big bikkies to a little band like us!". The tour contract was purely verbal, but Howard was as good as his word in every respect. His example inspired Dave in his own career and he still speaks of Howard in glowing terms. "We were taking a risk of a lifetime, bearing in mind that the average age of the band was only about 18 at that time, and we had the families absolutely shaking in their boots about what we were doing. We could have been left high, dry and stranded, and it be the archetypal rip-off.. Howard's one of those people whom I have a great admiration for, because all the terms he nominated to me were all spoken, and they were sealed with a handshake, but he never, ever once let me down in any capacity. Paid everything, did everything -- his word was his bond, and I admire that implicitly." The Playboys went first to Auckland, where they were provided with a house, then on to Roturua for pre-tour rehearsals. Just before they set out they decided to change their name to The Byrds, to avoid confusion with other acts like America's Gary Lewis & The Playboys, and Normie Rowe's backing band of the same name. According to Dave, the change came some time before the famous American band of the same name had their first hit. That in turn necessitated the later addition of "Dave Miller & .." prefix. Over that summer the Byrds and the Morrison Quartet played to literally tens of thousands of people, an experience which thoroughly honed their playing and showmanship. The Morrisons' had broad family appeal and performed a commensurately wide range of material, which The Playboys had to learn quickly and thoroughly; the repertoire for the tour comprised at least 50-60 songs, according to Dave, on top of their own material. Bolstered by Brian Ringrose's classical training, they rose to the task. Morrison was a consummate showman who demanded the best from them, and the band all learned a great deal from the experience. A double live album was recorded during the tour, which climaxed with a New Year's Eve concert in Howard's home town of Rotorua. When the tour finished and Dave & the Byrds hit the Auckland club circuit in early 1965 they were red hot, one of the most polished and entertaining pop acts in the country. They quickly snared the residency at the popular Shiralee (later The Galaxie), a slot that had just been vacated by Dave's old mate Ray Columbus, and they were soon pulling in big crowds. In another typically generous gesture, Howard and Benny Levin recommended the Byrds to Eldred Stebbings, owner of the Zodiac label. The association with Stebbings was not a particularly congenial one, although the Singles themselves are fine recordings, given the primitive facilities available to Zodiac, and much of the credit for this is due to Zodiac's engineer, John Hawkins (who also did some great work with The La De Das). Dave and The Byrds scored a major hit in Auckland 1965 with their debut single, a strong cover of Jimmy Reed's "Bright Lights Big City", a favourite song that he had discovered back in Christchurch via his friend Hoghton Hughes. It was Top Five hit back home in Christchurch and in Wellington, and peaked at a very creditable #13 nationally. It was backed by a cover of "Little Lover", a Graham Nash song originally cut by by The Hollies, who were as big an influence in NZ at the time as they were in Australia on groups. They also charted in several cities with their follow-up, "How You've Changed". It was backed by a rocky cover of "Wake Up Little Suzie", by Dave's old faves The Everly Brothers. "Because "Bright Lights, Big City" had done so well, I believed that I was right being in blues territory. I was comfortable with that. So for the second single I chose a song called How You've Changed. Now we've been credited with borrowing that from The Animals, or from The Yardbirds -- and that is rubbish as well. I have an album to this day, which I got from Hoghton Hughes in the late Fifites, called One Dozen Berrys, by Chuck Berry, and it's on that. The flip side was a very rocked-up version of The Everly Brothers' "Wake Up Little Suzie". A strange sort of coupling, in retrospect, but we gave it that sort of Jimmie Reed/Chuck Berry 'chunka-chunka' rhythmic feel, as opposed to country. And we belted the hell out of it, and it was a major hit in places like Rotorua. It hit the Top Ten there, and they didn't want to know about the other side. "The smart turkey in me had realised -- why was I hanging around Auckland for twenty quid a week? Why didn't I run my own shows? And I burned the candle at both ends, out in the middle of the night, 2, 3 and 4 o'clock in the morning pasting up posters, being at newspaper offices the next day pestering away for press, being at radio stations and sitting in on the radio stations making sure they played the single twice. All of those things. That's why I didn't end up finding a manager in Australia either ..."
Not long after the second single came out in mid-'65 the O'Neill brothers decided to leave for personal reasons. Dave replaced them with rhythm guitarist Al Dunster from leading Auckland group The Dallas Four, and Liverpool-born bassist Chris Collier, who had come from a band in Napier. This last lineup cut one more single, the rather gimmicky "No Time" backed with another Everly's number, "Love is All I Need"
"I was listening to a pile of import things at Eldred Stebbings' place, and I heard this thing -- "No Time", it's called, and it was by Dave, Dee, Dozy, Beaky, Mick and Tich, and it was their very first single, before they broke through. It was in 3/4 time, and it's based around the chimes of a clock. And I thought "There it is -- it's got it's selling feature" And in pockets it did good things for us as well." Their final recordings were released as a self-titled five track EP that is now a collector's item. Dave describes the five tracks as a pretty representative slice of the sound and style of their sets at that time. It was recorded completely live in the studio, warts and all. "There's the old blues standard "Help Me", based around the "Green Onions" thing, "Ain't Got You" which The Yardbirds and The Animals covered, and I think we might have been inspired more by The Animals. There was an old Johnny Otis standard, called "Tough Enough" -- we did a very good version of it but we originally got it from Cliff Richard & The Shadows. We went down their standard arrangement route, but that time it had become such a workhorse it was much more 'lead-booted' than they would have done it. And then there was a version of Buddy Holly's "That'll Be The Day", that had been inspired more by the Everly Brothers, off that Rock'n'Soul album that I told you about. And then we did what I suppose would best be described as "Pretty Things" type arrangement of the old Fats Domino standard "Let The Four Winds Blow". Dave and Brian had also begun writing together around this time, and they made some private demos of the songs they wrote but it wasn't until he moved to Australia that Dave's original material began to be recorded. Happily these first demos still exist (along with some other exceedingly rare and important NZ recordings) in the possession of Brian Ringrose. Dave is nothing if not a realist, and by 1966 he could see that even though the NZ scene was booming and The Byrds were doing extremely well, any further local success would be limited, and that they'd soon be going over old ground. By this time The Invaders, Dinah Lee and The Meteors had all crossed the pond and were enjoying varying degrees of success. Australia was the obvious next step for The Byrds, as it was for any ambitious NZ band -- although Dave says he was seriously considering trying his luck in Hamburg. Al Dunster, who had already crossed the Tasman with The Dallas Four, was keen to try Australia again (and his girlfriend was there too). But the rest of the group were reluctant to move and start all over again -- Brian Ringrose, for one, had been performing since he was a child, and he didn't relish the prospect of having to start all over again in a new country. He stayed at home and is today one of the most respected musicians on the NZ scene. The Byrds honoured their outstanding commitments and went their separate ways in early 1966. Dave is insistent on one point -- the Byrds did not go to Australia and become the Dave Miller Set, as most accounts have stated. Only Al and Dave went over and while they remained friends, they never worked together again professionally after the Byrds. Dave did a few final solo gigs, then he prepared to go over to Sydney. He naturally wanted to further his career, but there was another especially compelling personal reason for the trip -- his fiancé Corinne (whom he had met in Christchurch two years earlier while performing at the Laredo) had just moved to Sydney with her family. Al Dunster travelled to Australia first, soon followed by Dave who arrived in Sydney in April 1966. Through Al's friendship with the manager there, Dave scored a job at the Sydney CBD venue The Bowl in Castlereagh St, part of the pop empire run by influential manager-promoter Ivan Dayman, whose Sunshine agency and record label was home to many leading mid-60s acts and whose roster included Normie Rowe, Peter Doyle, Mike Furber and Tony Worsley and Blue Jays. Sunshine also ran venues like The Bowl (where The Easybeats had one of their first residencies) and Brisbane's famed Cloudland Ballroom. The manager of The Bowl, Graham Dent, was himself an Kiwi expat and when Dave arrived in Sydney Graham's main job was as the manager of Dave's old mates Max Merritt & The Meteors. Needless to say, Graham knew of Dave's achievements in New Zealand and hired him on the spot. Dave worked for several months at The Bowl and other venues as MC, introducing Sunshine acts like Normie and Peter Doyle, and performing as a DJ and solo singer. While not as creatively fulfilling as his previous work with the Byrds, this period proved important for Dave in making connections on the Sydney music scene, particularly Spin Records boss Nat Kipner. "I wasn't sure which way to go, because even people like a youthful Doug Parkinson, at that stage ... they were sort of flailing around doing all sorts of semi-clubby type things ... none of us completely knew exactly what to do...there were lots of other people, like Digger Revell, they were making a real living out of it. I nearly got caught up in it. I kept thinking "I owe it to my fiancé, I owe it to myself'. What drew him back into the pop scene in late 1966 was Dayman and Dent's decision to revamp The Bowl as a discotheque and rename it the Op-Pop Disco. Dave was asked to put together a house band, so he contacted an old friend from New Zealand, drummer Ray Mulholland, (ex- The Rayders) who was keen to come over and work in Sydney. Dave then recruited a promising young bass player, Harry Brus (ex-Amazons) who went on to become a longtime backing player for Renee Geyer and one of Australia's most respected musicians. The lineup was completed by guitarist Mick Gibbons (ex-The Bluebeats) and keyboard player Greg Hook (who later worked with Respect, Odyssey, Stevie Wright and Lindsay Bjerre), thus creating the first lineup of The Dave Miller Set. Unfortunately, by the time Dave had put the new group together Dayman and Dent had changed their minds about the house band, and a rather disgruntled Dave had to scratch around for other opportunities. The Set's first major gig proved to be an important showcase, and the turning point for the new band's future. They were hired as part of a package show headed by Johnny Young & Kompany and Ronnie Burns, at the Sydney Royal Easter Show in March 1967. The DMS (minus Dave) backed Ronnie Burns and Dave rejoined them for their own sets. Because Greg Hook was unavailable for the gig (he had a day job) Dave decided to add a friend of Harry's as second guitarist for the duration of the Show -- teenage guitarist John Robinson, formerly with Sydney outfits The Lonely Ones and Monday's Children. Harry (who was already becoming something of a favourite with the girls) acquired his own small 'fan club' at the Show, who followed him around and called out his name during the sets. At one point they started up their chant of "We want Harry!" during Johnny Young's set, prompting "Mr Nice Guy" Johnny to yell back: "Who the f*** is Harry?"! Harry also has a precious segment of Super-8 footage that was taken the group (without Dave unfortunately) were playing with Ronnie Burns, which is probably the only remaining visual record of this original lineup. After the Easter Show gigs, the band broke up for short time while Dave went back to New Zealand to marry Corinne. He felt he had discharged his obligations to the members of the group, and now married, he knew that he could make far more money as a solo artist on the club circuit. He had no definite plans when he got back to Sydney, but he had no chance to make any -- the rest of the band approached him almost immediately, anxious to reform and keep going. So Dave reconstituted the group, but Mick Gibbons and Greg Hook didn't rejoin. Having one fewer mouth to feed made life a little easier financially, so he kept the Mark II DMS as a four-piece with Harry, John and Ray. This second lineup was short-lived though -- John was keen to work with his former Monday's Children bandmate, English-born bassist Bob Thompson, and it wasn't long before Bob was brought in to replace Harry. When the DMS first formed they played much the same repertoire as The Byrds including covers of The Yardbirds, The Kinks, The Animals and other popular favourites. The first lineup made no commercial recordings, although they did tape three demo tracks (which Dave still has) at a studio in Manly Vale run by Bruce Brown, with the late Duncan McGuire engineering. Brown became the house engineer at Albert's Studios in Sydney in the '70s and '80s, and McGuire the renowned bassist in Doug Parkinson In Focus, Friends, Ayers Rock and the Southern Star Band among others. By the time Bob Thompson came on board in late '67, there were big changes happening in music overseas, especially the emerging UK acts like Cream and The Jimi Hendrix Experience. As John found his feet in the band they gradually adopted this "heavier" style, becoming one of the first Australian bands to do so, although this transition was made technically possible by Dave's entrepreneurial skills. John was already a proficient player -- his original ambition was to be a jazz guitarist -- but he was yet to develop into the guitar wizard he would soon become, and Dave worked assiduously on developing John's stagecraft and showmanship. Over the next three years Dave provided John with the space and scope to develop into one of the most powerful and innovative electric guitarists on the scene, in the tradition of players like Clapton and Peter Green. It's certainly not unreasonable to suggest that Dave can be considered as an Australasian equivalent to John Mayall. John: "I happened to be at Nicholson's Music Store one afternoon and picked up two new releases: 'Strange Brew' by Cream and 'Hey Joe' by Jimi Hendrix. Cream were good and I'd heard Clapton before with John Mayall and the Yardbirds, but Jimi was another thing altogether. 'Stone Free', the B-side was a good example of what a small group could do, and after playing both records to the guys, we all agreed that this was the direction to go in. By the New Zealand tour of Xmas '67, we had most of the Hendrix and Cream releases covered." Dave too was always on the lookout for new sounds (he would later introduce the band to Led Zeppelin) and clearly these records had a big effect. Their significance to the band and the period was immortalised by Dave when he namechecked both "Strange Brew" and "Stone Free" on their version of Sam Cooke's "Havin' A Party", the B-side of their second single "Hope". "Pat was one of the most complete and comprehensive people I've ever met. In the beginning perhaps he wasn't so sure of me, but by the time we got through "No Need To Cry" and "Does Anybody Really Know What Time It Is", we were very close friends. We'd socialise together and do all sorts of things. The admiration built over time, but my admiration for him was profound right from the very beginning. "He was very interesting. He fascinated me. It found it a bit daunting at first, being a totally self-taught person. He could play keyboards ... he'd been on television and played keyboards and sung .. he could really sing. He was great with harmony, he knew how to arrange, he could orchestrate, he could do all those sorts of things. If Pat was in control, a good job was going to be done. I've been in the studio and they'd be putting down backing tracks and he'd say "Hang on, John -- the G-strings's gone flat". He was able to hear all those things, all those nuances. MILESAGO was also privileged to talk to Pat about his work with the DMS. His comments about them echo Dave's admiration for his former producer, and he also offered some fascinating insights about the DMS recording sessions and his working methods at the time. "Dave was a very diligent young man, very enthusiastic. He had a very good ear. We got on extremely well, extremely well. They were all very fine players, very efficient in the studio. I just kept them in tune (laughs). They were quite a joy to work with." "I don't believe in doing things over and over, like a lot of people do -- you just end up losing the plot. It's all about art and design. If you're designing a piece of music, you've got to get everything right before you roll the tape. We always worked very hard, setting things up, rehearsing, getting the sound and making sure everyone was right in the spirit of the thing. If you prepare thoroughly, you can usually capture it pretty quickly. Dave and the band were good at that and you can hear the results on those records -- they have a lot of spontaneity." "I can be a taskmaster, and perhaps some of them found it bit frustrating sometimes, but ultimately it paid off. I took a lot of time getting the sound just right. With the drums, for example, I used to tune them myself. I'd tune them in key, to the first the third and the fifth, and I'd always be calling for "more dampening, more dampening" on the snare or on the toms, to get a 'thicker 'sound. Another thing I remember was that I never had to do much with Bob Thompson's sound -- he always had that pretty right himself, he knew how it should be." "We were always listening to new things from overseas, always experimenting, trying to work out how they got a certain sound or effect, and then try to reproduce it. I used to listen particularly the English groups -- I felt they had a bit more 'heart' than some of the American things, which could be a bit 'flowery', as it were. "I personally supervised the entire installation of the four-track and the desk at Festival when we moved to the new premises (in mid 1967). I was there day and night, every day for about two weeks. Once it was in, I said to the chief technician, the fellow who'd designed it all "Well, nobody else knows this like I do" -- which was perfectly true -- "so I'm going to do all the engineering". And they said 'OK' ". "I did all my own engineering. The 'flanging' on 'Guy Fawkes' I did myself.. I held my finger on the rim of the tape reel to control the effect -- that was all done in one go. We didn't have a lot of equipment, like compressors and things like that. The only major thing we used was the Pultec*, but that was great, it really gave the sound a lot of bite." "Of course this was in the days before things like fuzz boxes. Do you know how we got fuzz tone on the guitars back then? We used to go down to Allen's music store from time to time, and we'd a few second hand Fender amps, little ones that had been traded in for bigger models. We'd take them back to the studio and take a razor blade to the speaker cones. It would give you a wonderful distorted sound. We used to have great fun with that!" "I remember it being a very happy working relationship. We worked very, very hard but we got results and we had a lot of fun. It was a fabulous time." The debut DMS single, released in October 1967, was "Why Why Why", a cover of a Paul Revere & The Raiders song, written by their bass player Philip Volk. The B-side, "Hard Hard Year" was the first official DMS recording, and was cut some time before the A-side. It was the only DMS recording not produced by Pat Aulton; the producer was Robert Iredale, Festival's long-serving house producer in the 50s and mid-60s, who worked on many famous early recordings for Festival including The Bee Gees, Col Joye, Johnny O'Keefe and Dig Richards & the R'Jays. According to Dave, "Hard Hard Year" was primarily a test to see how well they worked in the studio. Spin were obviously happy with the result, so Nat Kipner teamed them up with producer Pat Aulton, who had just become Festival's house producer, for the recording of the track destined for the A-side, "Why Why Why". At Pat's suggestion they flattened out the metre from 3/4 to 4/4, because "Hard Hard Year" was already in 3/4 time. Dave's delivery showed a definite Eric Burdon influence, but it's a very creditable effort. The single had only limited exposure in NSW, but remarkably, it charted in NZ when the DMS toured there at the end of 1967, thanks to support from pioneering Auckland pirate radio station Radio Hauraki. It was also anthologised on the 1968 Spin various artists compilation So Good Together ... The Stars of Spin. "It was one of the happiest boats I've ever been on, one of the most absolutely ecstatic, fun times of my life, and the band's life. And the very first night we started playing at 8 o'clock and we were still playing at eight the next morning. We'd honoured our commitment in one night!" With typical aplomb, Dave also arranged a special party performance for the crew, and this too was a great success. The staff decorated the mess room specially and togged up in fancy dress for the occasion. It paid off handsomely in goodwill between the band and the crew -- as Dave's says, "I never even had to lift a guitar pick after that!" The success of the record was gratifying, but the trip to New Zealand had another vital outcome. They were low on cash and had been struggling with woefully inadequate equipment, so Dave tackled the problem with his usual creative flair. "When John brought Bob Thompson into the band he had a horrible little el-cheapo bass guitar, and virtually no equipment, and I was running around trying to provide him with bits and pieces. It really was difficult, and the band was desperately short of equipment, and on that first trip back to New Zealand, I could see the desperation that I was going to be faced with. So I went to company in Auckland that Brian Ringrose and I had dealt with quite a lot, called Jansen. They were an instrument manufacturing company, they made amplifiers, all sorts of electronic accoutrements, and they also made a range of electric guitars and basses and acoustic guitars ... in terms of New Zealand I suppose they were the equivalent of the Fender factory, they covered the whole gamut. I knew these people from the days of The Byrds of course. We'd moved into Jansen equipment and we used to promote that on stage. So in desperation I went to the factory and spoke to the people, 'cos they remembered me of course, and said "Can you do us deal?" And they did us a deal for a range of photographs, etc., by which we bought the stuff at cost. But that also posed me huge headache, because we didn't have too much money ... the truth is I borrowed the money from my father." That put us really on the rails, because Bob had a Telecaster-type bass copy, a 150 watt amp with four cabinets with two twelves in each. John had two cabinets with four twelves in each, and I think he had a 100-watt head. So, all of a sudden we'd gone from being 'Mickey Mouse' in terms of equipment, to being a very professional band. We were quite the envy of many contemporaries of ours when we got back, for the very simple reason we went away being rather pathetic and puny, and we came back looking thoroughly professional. There were a lot of people really not sure how and why all this had come about, but that really did help, because we needed that equipment. Acquiring the new gear was timely -- by '68 the influence of Cream, Hendrix and The Who were reverberating around the world and the combination of their own keen ears and the powerful new gear sound enabled DMS to become the first local groups to pick up on this trend and develop it convincingly in the local context. When the group returned to Sydney in early 1968 they scored a residency at the Op-Pop disco in Sydney, where they shared a bill with The Twilights -- "definitely a class act" recalls John -- one of many top Aussie acts with whom the DMS regularly shared the bill, including The Masters Apprentices, Tamam Shud, Doug Parkinson and Jeff St John. Their next single, appropriately entitled "Hope", had a particularly interesting background. The original version came from the 1967 debut album by The Candymen, and it was co-written by Buddy Buie and Candymen lead guitarist John Rainey Adams. They started out in the '50s in Dothan, Alabama as members of The Webs, the group that launched the career of singer Bobby Goldsboro, a childhood friend of Buie's. When they backed Roy Orbison on a visit to Dothan he was so impressed that he hired them on the spot as his permanent band, and and Buie became his tour manager. Renamed The Candymen, they worked with Roy for seven years, touring the world, and Adkins played lead on many 'Big O' classics including "Oh Pretty Woman". After they left Roy they cut two Albums under their own name for ABC and Buie became a successful songwriter-producer, with credits including the Classics Four's "Windy" and "Spooky", as well as hits for Billy Joe Royal and BJ Thomas. In the '70s he set up his own studio in Atlanta, where he put together the session band that became The Atlanta Rhythm Section. Released in April 1968, "Hope" was a quantum leap in the band's studio work. Dave cites it as one of his favourite recordings, and its not hard to see why -- it's a psych-pop classic, a tremendously strong and hugely enjoyable record that brims with confidence and optimism. Dave's vocal is spot-on and the infectious backing, in a brisk march tempo, skips along with some great ensemble playing by the group. It's topped off by Pat's sparkling arrangement for horns, piccolos and strings (with contributions from Sven Libaek, who scored the horns and piccolos). The B-side is a swinging, good-time version of Sam Cooke's "Havin' A Party", a perennial stage favourite that Dave often performed with The Byrds which he updated with the namechecks of "Stone Free" and "Strange Brew". The single did quite well in Sydney, peaking at #27, largely thanks to Ward Austin of 2UW who liked the song and was instrumental in breaking it into the chart with regular airings on his afternoon shift. In another example of Dave's inventive entrepreneurial skills, the group signed a promotional deal with the Amco jeans company, which paid off in many ways -- not least in the form of free clothes! They made appearances providing music for Amco promotions in shopping centres and other venues, and this brought them into contact with 2UW's Ward "Pally" Austin, Sydney's leading pop DJ, who MC-ed the shows. Ward loved Hope, picked it up immediately, helped it become a Top 10 hit in Sydney, and became a long-term supporter. The powerful Jansen gear gave them an edge over most other Sydney groups, and their act was now starting to included longer songs, extended solos from John, and improvised jams. Their gigging range also expanding to include Newcastle and Wollongong, and they soon developed a very strong following in both those cities. By the middle of the year "Hope" had been picked up by 2UW and was in the charts and DMS came in at No. 7 in the Go-Set National popularity poll. As John observes: "Not bad for a band that had not yet visited that Holy Grail of Oz Rock, Melbourne." Later in 1968 "Hope" was also included on the Calendar compilation Australia's Star Showcase '68. John: "Dave brought along a pre-release copy of Led Zeppelin 1 to rehearsals one day, and we proceeded to cover every viable tune on it. By the time it was released here, we had been performing most of it on stage for over five months! This added to our credibility to no end with the punters." The third single, released in October 1968 was a truly superb cover of The Youngbloods' peace-and-love anthem "Get Together", a song was recommended to Dave by Pat Aulton. It should not be confused with "Let's Get Together", the saccharine Hayley Mills hit from 1961, a mistake that is often made in references to the DMS. Their version of "Get Together" is a real gem -- miles stronger than the original, which sounds rather anaemic by comparison. (It's a great pity that the DMS version was not used in favour of the original on the soundtrack of the hit Australian movie The Dish.) Pat Aulton's production is typically brilliant, dynamic and beautifully balanced; the rather fey and folky style of the original has been transformed into driving 'west-coast' psych-pop and given some classic '60s spice by the addition of John's newly-acquired and highly-prized sitar, "a beautiful instrument" Dave remembers, specially made for John by a leading firm in India. The B-side "Bread and Butter Day" is a driving slice of heavy-soul which gives a clearer hint of what the band were delivering live. It was also an important advance for the group -- Dave's first original song to be commercially released, and John's first opportunity to really stretch out as a lead guitarist on record. He spikes the track with some scorching licks, climaxing in a wailing, Hendrix-like solo. Lyrically, it convincingly explores the "life is tough" theme, similar to that of "Hard Hard Year" and for any working muso of the time, the phrase "bread and butter day" was certainly an apt description for their often hand-to-mouth existence. After another round of local touring to promote the new single, there was a second Pacific cruise at the end of 1968, which again had important outcomes. In Wellington, John Robinson went to the movies and caught Sergio Leone's spaghetti western For A Few Dollars More. He had developed a keen interest in film music after seeing Kubrick's Spartacus when he was young, and he was captivated by the Ennio Morricone's classic soundtrack. Because there was no soundtrack available John went to see the film over and over to memorise the music; soon he was lobbying the band to include some of his Morricone-inspired instrumentals into the set list, and these were well-received by audiences. They also went to Fiji with the cruise, and while in Suva they picked up Jeff Beck's Truth album, which Dave cites as another big influence on their repertoire. A remarkable outcome of the visit was that "Get Together" became a local hit in Fiji. Dave has flippantly suggested that this might have been due to the fact the arrangement featured John's sitar, which (pardon the pun) struck a chord with the locals, many of whom were of Indian descent. But in a serious tone but he does say that the crucial factor was that a new civic auditorium had just been opened in Suva. The DMS were the first non-Fijian group to play there, performing a sold-out matinee that was packed into the aisles. It was followed by a well-received nightclub gig that evening. This made a very favourable impression on the Suvans and firmly established the DMS name there, and certainly they would have heard few bands like them in previous years. By the time of the Xmas '68-69 cruise, Bob Thompson was homesick and keen to return to the UK. John convinced him to stay until the cruise was over, after which Bob departed in March 1969. (Much to Dave's chagrin, he sold his Jansen bass rig to pay for his ticket home). He was replaced by bassist Leith Corbett, who had just left Sydney club band Heart'n'Soul. Leith was already a friend, since the two groups were both handled by the Nova booking agency and often played the same venues, like the popular Here Disco in North Sydney. Leith was actually not Dave's first choice -- he originally approached Mecca bassist Bob Daisley, who later joined Kahvas Jute. But Leith's fluid bass style was right in line with their new direction, and his flamboyant stage presence and flying mane of hair also added significantly to the group's stage presence. By the start of 1969 the Set had become one of the most popular live draws in the Sydney-Newcastle-Wollongong region, and each new single had gained successively greater attention. Yet throughout their career Melbourne was more or less a "closed shop" for them, and despite several visits there they were unable to crack the scene. They made a number of visits there after Hope came out, playing venues like Berties and Sebastians, and even appearing on Uptight, but although they were well received in concert they never manage to overcome industry resistance, especially in radio -- Stan "The Man" Rofe was the only Melbourne DJ who supported them and played their records, according to Dave. In late January 1969 the DMS joined 9 other top bands at the annual Moomba concert at the Myer Music Bowl, headlined that year by the Masters Apprentices. The huge crowd, estimated at well over 100,000, was second only to the crowd record of 200,000 set by The Seekers at the 1967 Moomba concert. By all accounts it was a wild event -- fifty people were injured, including three police, "countless" others had to be treated for hysteria, and twelve were arrested after fights broke out in various sections of the crowd. During the DMS set a group of youths climbed the cables onto the roof of the Bowl and started pelting police and the crowd with bottles and other objects and concert promoters Amco and 3UZ eventually had to stop the show for half an hour while police regained control. At another point mounted police were called in to disperse a group of about 400 brawling youths. A contemporary newspaper about the show can be seen on page 168 of Jim Keays' book His Masters Voice, including a photo of the Masters on stage, incorrectly captioned as being The Dave Miller Set. The band worked relentlessly but on the recording side, there was a long gap -- almost a year -- between "Get Together" and their next (and best) single. In early '69, around the time that Leith joined, a friend at Polydor Records (David Kent, of "Kent Report" pop charts fame) loaned Dave an advance copy of Sunrise, the debut album by Irish group Eire Apparent, which included guitarist Henry McCullough (later of Wings). Their album was produced and featured guitar contributions by Jimi Hendrix, whom the band had supported on tour in America in 1968. Dave was immediately captivated by two songs from the LP, "Mr Guy Fawkes", written by lead guitarist Mick Cox (to whom Hendrix had given his famous hand-painted Gibson Flying V guitar) and "Someone Is Sure To", by lead singer Ernie Graham. "Mr Guy Fawkes" immediately inspired him and he set to work remodelling the song to suit the DMS and convincing the rest of the band and Pat Aulton that this had to be the next single. Using his mother-in-law's reel-to-reel tape recorder, Dave taped the song and then did a primitive editing job, literally cutting the tape with scissors and splicing it with cellotape! He cut it down from its original seven minutes length to something around 3 minutes and over the next few months Dave and Leith worked closely together on the arrangement and eventually they were able to realise their plans thanks to Pat Aulton. The result was a tour de force and its enduring quality is a tribute to both band and producer. There are similarities between Mr Guy Fawkes and "The Real Thing", which came out around the same time, but each evolved totally separately, and Dave's clear, cinematic conception for his record shines through. John Robinson's strummed guitar intro is every bit as evocative and recognisable as that of "The Real Thing". Leith's restless and lyrical bass lines, the framework of the arrangement, are eloquent without being intrusive; Dave's eerie, filtered vocal gives it the perfect sense of strangeness, and the whole package is beautifully realised by Pat Aulton's superb production, with rich phasing, sound effects, an evocative neo-classical string arrangement by Pat, performed by members of the Sydney Symphony Orchestra. The explosion (also part of the original) Dave located after a extensive search in the sound effects library at the ABC. There is a restraint, a coherence, and a filmic sense to the song that is absent from The Real Thing, which pretty well throws in everything including the kitchen sink, production-wise. And like its predecessor, Guy Fawkes continued the great tradition of Aussie bands covering obscure overseas tracks and coming up with versions that far surpassed the originals. The energy-packed B-side, "Someone Is Sure To", is a treat. It makes very interesting listening now, sounding remarkably like the choppy "new wave soul" stylings of the The Jam -- only about 10 years earlier! The double-tracked-guitar line that closes the song is another innovative feature that makes it a real discovery. Dave: "The guy that was running the Spin record company -- it was based in North Sydney in those days -- was called Tom Miller. I liked Tom immensely, but the day that the promotional copies of 'Guy Fawkes' came out he called me on the telephone and said, 'Can you get down to the office?'. I said, 'Yeah' ". "Got to the office ... and I was pasted. I was berated for "the worst piece of trash that the Spin record company has ever been involved with ... an absolute disgrace". And I was told that if it hadn't been for the fact that they trusted Pat with this particular project, had they heard it at any stage prior to this, it would never have been released. It was the fact that it had already been pressed that meant they had to go through with it. And they didn't want to know it. I was told in no uncertain terms that it was the worst record that the Spin record company had ever been associated with! Of course, the result vindicated Dave entirely -- within weeks of its release in July it was a Top Ten hit in NSW and at year's end, Ed Nimmervol named it Go-Set's "Single Of The Year" for 1969, an accolade of which Dave is justly proud. It was also included on the Calendar compilation Australia's Top Talent, one of the first local pop LPs to be released in stereo. Things were really starting to look up for the group and the success of "Mr Guy Fawkes" opened many doors for them. At the session that produced the backing tracks for the "Guy Fawkes" single, the DMS (sans Dave) also cut another recording that Pat Aulton was producing -- the single "Year of War" by Sydney singer Frank Lewis, with its melody lifted from the famous Barcarolle from Offenbach's Tales of Hoffmann. It too became a Top Ten hit in Sydney around the same time as "Guy Fawkes", and this created a unique chart achievement for Leith, whose former band Heart'n'Soul were also enjoying a hit with "Lazy Life", a track cut just before Leith quit and joined the DMS. Dave: "Leith was in the charts with three records at one time, and this is not a known fact for most people. He was in the charts with 'Lazy Life', he was in the charts with 'Guy Fawkes' and he was in the charts with Frank Lewis and 'Year of War', which was the Dave Miller Set, with Frank singing. Another remarkable but little-known episode in the DMS story took place in mid-1969, and we are very grateful to Dave for sharing his recollections of this hair-raising affair, which he has never before spoken about publicly. Through the middle of 1969, Dave and John had been heavily involved in promoting "Mr Guy Fawkes", particularly with a popular 2SM DJ of the time, Mad Mel. Mel and 2SM were organising a large inner-city concert, "Mad Mel's Giant Stir", staged in The Rocks, on the grassed area under the southern approach to the Sydney Harbour Bridge. A few weeks before the Stir, the group was booked to play a tour of Indonesia. It was a triple bill headlined by the DMS with singers Mike Furber and Nikki Bradley, whom they backed. The DMS went to Indonesia on a ten-day visa, to play seven venues, 3 in Jakarta, two in Bali and one in an another location. On arrival there was no proper itinerary waiting; the schedule, such as it was, was to come back and play the seventh gig in Jakarta and then back to Australia. John: "It was something like mosquitos buzzing around in a large public toilet." Dave: "The equipment was pretty awful, we were trying to fill a huge auditorium, and it was practically impossible. It was in the days before PAs, mixing consoles, all that sort of thing." Despite the technical shortcomings, the Jakarta gigs were a success, the musicians were treated royally, and parties were held in their honour. But after the third gig things suddenly went "extremely wrong". The trickle of information suddenly dried up, questions were not being answered, but Dave eventually managed to discover that the scheduled gigs outside Jakarta had been cancelled. Dave later found out -- to his dismay -- that the promoters had also telephoned Sydney and fed both the Nova agency and Dave's wife in Sydney a story (presumably also given to the local press) that Dave was seriously ill, had been hospitalised, and was unable to leave. The full story, as Dave gradually pieced it together, was that they were pawns in a rather shady game. Tickets for all the venues had been pre-sold well in advance, but for some reason the promoters had neglected to book the venues outside Jakarta. Unfortunately, by the time the DMS and friends arrived, a major inter-Asian sports event was in full swing. Needless to say, Indonesia was the host nation, and the venues that would have been used for the concerts were now all occupied. Presumably to avoid paying refunds, the organisers had evidently decided to fabricate the illness story, and hold Dave and the band incommunicado in Jakarta until the sports festival was over and the concerts could be held. Dave believes that the problems could have been easily solved by negotiation between the promoters, the Indonesian authorities and the Australian embassy, but in the event the promoters opted to hush the whole thing up. In another time and place, this would have been a problem rather than a crisis. But this was Jakarta in 1969, and there was good reason to be very apprehensive. Dave: "The problem that I had was that we had a ten-day visa that was running out at a very, very rapid rate, and I knew that in a country like Indonesia ... which was extremely military in 1969 ... if we did not have a permit to be in that country we could be in dire strife. I could not get proper answers, and I could not get authorities to assist me in any way, so they fabricated the thing that I was ill."
"We were being kept there to accommodatethem, so that they could save face, but no-one had taken into account the precarious situation that we were placed in. ... I was extremely uncomfortable with the predicament we were in. I have to tell you -- it wasn't easy, and it was extremely dangerous for Ray Mulholland and myself ... "
Magsuballing all his considerable negotiation skills, Dave did what he could to extricate the group from the situation. Through contacts he had made, he was able to get in touch with one a senior Indonesian police officer -- who by luck was an amateur jazz musician and an avid fan of Western popular music. The contacts who arranged the meeting did so, says Dave, at the risk of their own lives. In the middle of the night, Dave and Ray went to the officer's home, and although there was a family dinner in progress at the time, he generously came out and listened to Dave's story. The officer was very sympathetic, expressing great embarrassment over what had happened. He immediately organised a motorcade and the band was ferried straight to the Jakarta airport, onto a QANTAS plane and home forthwith. There was a happy postscript, however -- on the plane home, the DMS was spotted by two Australian musos who were on the same flight. They invited the DMS up to first class where a raging party was in progress -- it was Johnny O'Keefe and his entourage on their way home from entertaining the troops in Vietnam! Dave: "It was champagne flight back for us after that, which was a nice footnote to something extremely tense, extremely difficult." Dave shielded the rest of the band, who were mostly unaware of the dramas, but it was an unnerving experience for him, and one that he has only recently felt comfortable to speak of. Dave: "The profound memory I have of the event was performing 'Mr Guy Fawkes'. I've never forgotten this. When it came to the explosion segment, there were two trains approaching the bridge -- one to the south, one to the north -- and right at the time of the explosion, both those trains went across the bridge and crossed in the middle, and the cacophony was quite incredible. It all fitted into the texture of what was happening at the time, and I can remember the crowd simply stood and cheered. You couldn't have planned it better. It was quite a magical moment." Shortly after the Stir, Ray Mulholland left the group and he was replaced by Mike McCormack (ex-Sect). The hard-hitting drummer completed the Set's transition to a fully fledged heavy-rock outfit, and in this final phase Dave also began playing rhythm guitar on stage to bolster the sound during John's solos. It's regrettable that this lineup never really had the chance to prove its mettle outside the live arena, and likewise it's a real shame that the DMS never had the chance to record a full album with Pat. Dave reckons they reached their peak as a performing unit in the latter half of 1969, which was also probably the busiest period of their career. They played countless city and country gigs, and thanks to Dave's friendship with Sydney TV producer/host John Collins they made numerous appearances on Collins' late night music-and-talk show on Channel 10. They also recorded a performance segment for the ABC's new nightly music show, GTK, although it's not know whether the tapes of this appearance have survived. John Robinson was by now gaining a considerable following for his guitar work, and he was also beginning to compose. Indeed, he recalls that many musical ideas that began life in jams and improvisations with DMS later became parts of Blackfeather's material -- Seasons Of Change was one such song, born during an on-stage jam between Leith and John at Coffs Harbour in 1969. The DMS played a lot of university gigs, and as Dave points out, the music included longer arrangements, with a lot of jamming, extended improvisation and guitar pyrotechnics, simply because that was what those audiences demanded. Still, Dave says that, like most other acts of the day, they were a somewhat "schizo" band, in that they could also adapt to a more commercial format when playing to younger audiences. They could and did perform a wide range of material, as he recalls, but the progressive material was really the core of their music by this time and the thing that set them apart from most other bands in the country. Dave: "By that stage we were well and truly ensconced in that the progressive/underground direction of music we were taking. The band had expanded so much beyond the concept of a three-minute record that our live performances were up in the echelon of Zeppelin, Who, Cream, whatever type of band that you like to nominate. I don't want to be likened to any or all of them, but there was an attitude to music and its thinking and its style at that stage, and we were at the forefront of that. If you look through my scrapbook, you'll find there were many complimentary things written about the Dave Miller Set as being as good as or better than some of the biggest international names of the time." "We used to do a very very good version on stage of 'The Weight', but we had to choose our material very carefully, and we couldn't choose over-orchestrated stuff -- in the final analysis, we were just guitar bass and drums. It was one of the reasons why I started to filter in on rhythm guitar, to give John the space to become the "legendary lead guitarist" and anchor the rhythm section a bit more." Dave also recalled some of the hazards of life on the road in the late '60s and gives a revealing insight into the reason behind some of those long jams! Dave: "We travelled a tremendous amount. We worked a lot. We did the country gigs, we did the industrial centres, and we were constantly out of Sydney as well as being in Sydney. When we were on the road -- we lived in a time before mobile phones -- I was doing all the bookings for us. We did have an agency; we worked through the Nova agency. I used them as a telephone answering system for the most part. I couldn't be contacted because I was on the road so extensively. But being on the road, I kept a schedule of gigs and I created all the re-bookings in these places on a cycle basis. I did the agency work and in some places where I was encountering people for the very first time, in fairly out-of-the-way places, I learned very quickly there were "characters". I had heard from other people, and I could see that this could unfold for me if I didn't keep control over it. A lot of people would use a powerful name, get the country folk in from a large surrounding district, and the person responsible for operating this 'one night stand' would often do a moonlight flit around 11:30 or so, in the half-hour before the band finished. You'd come to the end of the night and no-one was around with any money to pay anybody, and many bands got ripped off by this absolutely uncouth way of doing business. Nice as pie to your face at the beginning of the night, but gone with the proceeds by the end. And of course everybody that was left in charge of the place was told that the agencies would be 'accommodated' in due course, and that's how it would be. When you're on the road, of course, you need readies. And I found that I had to adopt a 'Chuck Berry' stance with fly-by-nights like that. What I would do, knowing that there were lots of people outside the venue, was that we would set up and do a soundcheck, ostensibly -- and we would play BLOODY LOUD so that everybody from around the township would know damned well we were there. We'd do that and then shut down. Then I would discreetly go to the management, go to the office and say to them straight up: "Money NOW or we don't play." It was that simple -- money up front, or we didn't play. That's how I survived, but there were often difficult situations and things that were rather untoward, and there'd be many occasions where I'd just have to say to the guys onstage: 'Play it out - I've gotta sort something out.' And I used to have to -- as their manager, as their agent -- disappear from the stage often -- and thus some of the protracted jams. It was not me tiring of the thing, it was no me tiring of being an artist. It was the fact that circumstances often made it that I actually had to do some these things to keep on top of it for the sanctity and well-being of the band. Thus John's references to things coming out of jams that ended up as Blackfeather material. They were sometimes thrust into doing that while I was off sorting out some of the other problems!" As the year drew to a close, Dave became aware that trouble was looming for the music industry -- a smouldering "pay for play" dispute between commercial radio and the record companies that was about to break out into open warfare as the infamous 1970 Radio Ban. He had his ear to ground, as always, and Dave knew that they had to move quickly to get a follow-up out before the dispute worsened. First came the song that ended up as the B-side of their next single, "No Need To Cry", a powerhouse original that Dave reckons is about as close as we're likely get to what the DMS actually sounded like at the time, capturing the kind of extended heavy-metal instrumental workouts they they were famed for onstage. That track had been recorded in a fairly leisurely fashion, and the sound is a huge improvement on previous efforts -- the production is very heavy, and shows the improvements and certainly a direct precursor to Pat's work on the Kahvas Jute LP Wide Open the following year. The track eventually selected and recorded for the A-side was a spirited cover of Chicago's "Does Anybody Really Know What Time It Is?" which Dave says was recorded "at a gallop" and rush-released in November 1969. (Dave confirms that this was an official DMS recording, not a solo single, as is often stated). It had one brief outing into the charts, making the Top 20 at Gold Coast station 4GG for a couple of weeks, but that was as far as it got. It's a shame it failed, because it's as good in its own way as contemporary tracks like Jeff St John's "Big Time Operator" or Max Merritt's "Western Union Man". While obviously not as inventive as "Guy Fawkes", it shows what adaptable and assured performers the DMS were, and their ability to tackle a wide range of material and still give it their own individual stamp. It was no doubt recorded in one take and there is the odd glitch, but it has lots of charm and energy and there's plenty the "have a go" spirit and sense of entertainment that typifies all their work. It's further evidence of Dave's ear for a good song -- Chicago of course became one of the biggest groups of the early 70s -- and certainly miles better than some of the other cover versions that local bands were being done at the time, like The Pushbike Song, or the lugubrious Yellow River. The other very notable feature of their last single is that it clearly illustrates the dramatic changes in the music scene, and the huge gap between what was then considered 'commercial' material, and the heavy rock that the DMS were playing live. As the new year progressed the radio dispute hotted up, and many acts on major labels -- including the DMS -- would soon find themselves unable to get airplay. The single sank more or less sank without trace, a very disappointing result after the Top Ten success of Guy Fawkes, and without another charting record to keep them in the public ear, the momentum they had built up began to dissipate. They were also tired from almost three years of incessant travel and gigging and constantly living in each others pockets, and by now Dave could see the writing on the wall. Rather than slog it out for ever-diminishing returns, he bravely decided to end the group and move on to new challenges. In May 1970, just as the Radio Ban was officially declared, Dave announced that he was leaving the Dave Miller Set. He was also keen to allow the other members to pursue other options, and the split was certainly not because he was unhappy with their musicianship, as was reported in Go-Set at the time. Dave: "At that stage I accepted no more bookings, and we played out the full diary of engagements, concluding with a major concert for 4BC Brisbane at the Town Hall, with a huge bill of prominent names, with the Masters Apprentices (also on their farewell tour before leaving for the UK), Doug Parkinson in Focus, many of the big names of the time. That same night we did a final appearance at the Chevron Hotel in Surfer's Paradise. The 4BC show was a bit anticlimactic, 'cos everyone would have preferred to hang around and have the big after-show party but we had to beetle down to the Chevron and do the last gig we ever did together." I remember those shows very specifically because, going to Brisbane, Mike McCormack had never been in an aeroplane before -- it was his first flight and he loved the sensation of speed and all that -- and I can remember him doing the most outrageous"whoop!" when this thing first took off from Sydney. The passengers must have wondered what sort of maniac was on board with them! After the breakup, Dave had a short holiday on the Gold Coast, where his wife's parents owned a holiday house, and he began working on new songs. John, Leith and Mike stayed together and in April 1970 they recruited Neale Johns as their new lead singer. According to John, he followed the example he had learned from Dave when negotiating a contract with Festival for an album on their newly established Infinity imprint. Renamed Blackfeather, they became (albeit briefly) one of the most successful and celebrated Aussie bands of the early 70s with their classic single "Seasons Of Change" (also successfully recorded by Fraternity) and their debut album At The Mountains Of Madness. With Blackfeather, John continued the heavy/progressive direction of the Dave Miller Set and as mentioned earlier, some of the major musical ideas that wound up in the Blackfeather songs -- notably the chord sequence of "Seasons Of Change" -- originated in jams and improvisations from the latter days of the Dave Miller Set. Leith and Mike both left Blackfeather shortly after it formed, but Leith and Dave had remained close. Leith was a regular visitor at the Miller home in Eastwood, and it wasn't long before the pair had developed the idea for an album. Through the winter months of 1970 they wrote the songs -- Dave wrote nine of the 11 tracks that ended up on the LP -- and then recorded the backing tracks, playing all the instruments except the drums and producing themselves. It is surely the first duo project of its kind in Australian rock. It's a very individual and innovative work, blending influences from heavy rock, folk, progressive, psychedelia and country. Even if it's not entirely perfect, it still has a lot of value and it's a very creditable effort for both musicians, given that it was their first venture into the album format, and their first major outing as songwriters. The fact that the album was self-produced is also very impressive, and considering that the DMS spent so little time in the studio it shows what a quick study Dave must have been. Leith was instrumental in organising the various drummers for the recording, including Mike McCormack and a young Alan Sandow, who had just joined Sherbet. Dave: "I enjoyed working with Leith. It was very concentrated, very tiring, very high energy, but the pair of us bounced off each other. To this day it's one of the happiest musical projects I've ever been involved with, and for that I'm grateful to him ... it was just fun to do!" 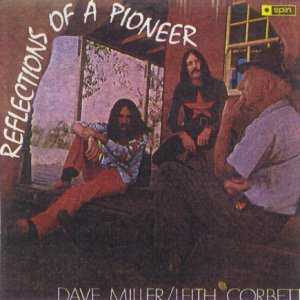 The LP was released in around September 1970 with the evocative title Reflections Of A Pioneer, from Dave's song of the same name which was in part a tribute to his grandfather, who had died not long before in New Zealand. The title track was also lifted for a single, backed by Leith's rocky 323527 Charles. For many years the album has been one of the most sought-after collector's items of the period, but happily it was remastered and re-released on CD in 2000 by Vicious Sloth. An unexpected opportunity opened up for Dave at the press reception for Reflections -- he was approached by Soundblast magazine to write for them, and within a short time he became one of their regular writers. His work for Soundblast also led him to meet many visiting overseas stars including the members of Led Zeppelin and Yes. In 1971 Dave formed a new group, 2000, which played around Sydney with considerable success until early 1973. They built up a strong following on the Sydney circuit, but the popularity of the DMS was still a force to be reckoned with, and a reunion jam with John Robinson at a 2000 gig in late 1972 led to a DMS revival in January 1973 with a new version of the band featuring Dave, John, bassist Steve Hogg (ex-Bakery) and drummer Steve Webb (ex-Blackfeather). This lasted only a short time however -- Dave never intended it to be a long-term arrangement -- and it ended somewhat acrimoniously when Dave decided to move to England. After the messy demise of the original Blackfeather in 1972, John briefly joined soul band Hunger, the resident band at Jonathan's Disco in Sydney. After the DMS reunion he joined the supergroup Duck with Bobbi Marchini and Bobby Gebert in mid-1973. They cut one self-titled album before folding, but most of Duck also appeared on John's only solo album, the superb Pity For The Victim (Festival) in 1974. John continued playing into the 80s with projects like The Guitar Orchestra and although he gradually gave up regular live work, he has continued to write and record prolifically, and he exerted a continuing influence on the music scene through his work as a guitar teacher. His pupils include many prominent names like Mondo Rock's Eric McCusker, Men At Work's Colin Hay and The Wiggles' Murray Cook. In recent years John has been releasing a series of CDs of original music which he has been stockpiling for some years. Dave and Corinne -- who were by now starting a family -- established themselves in the UK, and Leith went over around the same time. Dave continued writing for the music press and became friends with top British musicians like Rick Wakeman, Jon Anderson and Steve Howe of Yes, Rory Gallagher and Tony Ashton, of Ashton Gardner & Dyke fame. Dave was still writing and playing music, and thanks to Ashton, who was an old friend of the group from Liverpool, Dave had another close Beatles encounter when he had the good fortune to visit and do some recording at Ringo Starr's house, "Tittenhurst Park", the former home of John and Yoko, and he even got to use one of the Beatles' concert amps, which was still stored there! The Millers remained in the UK until 1980. Leith worked in various places around Europe -- including a spell in a Spanish pop band -- before returning to Australia and settling on the south coast of NSW, where he still lives. Dave did not return to music professionally when he came back to Australia, although he continued to write, record and play at home. Over the years, most of the recordings of Dave Miller & The Byrds and The Dave Miller Set fell into obscurity, although Mr Guy Fawkes took on a life of its own and has been anthologised on several various artists Albums, including Festival's essential 1974 compilation So You Wanna Be A Rock'n'Roll Star, put together by Glenn A. Baker in 1974 and reissued on CD with bonus tracks in 1998. Dave's very first single with The Byrds, Bright Lights, Big City was also reissued on the New Zealand 60s beat compilation How Was The Air Up There?, issued on LP in the late 80s and reissued on CD in 2001. The happy postscript to the story is that in March 2001 three of the founding members of the Dave Miller Set -- Dave, Harry Brus and John Robinson -- were reunited at George Crotty's Sixties Reunion party in Sydney. It was the first time Dave had seen Harry and John since the early 70s. "A while ago my wife called my bluff………You're not doing anything for yourself, it's work, home and not much else. Well, if I had to think what I might do, I'd learn guitar……..So she bought me one from the local music store in Burwood. As I tortured myself and others through a few months of digital origami that passed for fingers on the fretboard in search of a well played note, it became desperately clear that I needed some lessons if I were to make any progress at all. I went back to the music store (apologies to Don McLean) and found a card pinned to the notice board announcing that John Robinson of Backfeather Productions was available for lessons on a local telephone number……….which brings me to Dave Miller Set (DMS). During one of the many conversations I've had with John interspersed into the guitar lessons I continue to take, I mentioned that I'd seen DMS live a couple of times. He asked me to put my memories onto paper as he, Dave and Leith Corbett were putting some kind of DMS reunion project together………. My memories are really no more than fragments. My most abiding memory is that of a dance in Ashfield that went by the name of the Tempest, I think. To be honest, the source of the strikingness of my memory of this particular night at the Tempest is not so much the music. It has more to do with the fights that erupted all over the hall, something reasonably typical of suburban dances of the late 1960s. The Harbour Bridge concert was at least a year or so earlier than the Tempest. I recall the characters of the performances differing. The Harbour Bridge sits in my mind as lighter, almost poppy at times, whereas I recall the Tempest as a more muscular guitar focused performance. The thing that had drawn me to the Harbour Bridge concert, apart from the selection of bands which included the likes of The Plastic Tears as well as DMS, was Mr Guy Fawkes. Although the performance of the song was credible, the hippy-like dreaminess of the recorded version was missing on stage - no megaphone vocals, no strings etc. Funnily enough, I have no memory of the song at the Tempest. There was a lot of drive in the performance at the Tempest, with the songs hung around deep bass lines, with John Robinson occasionally taking flight into airy guitar solos. If my mind serves me well, the band did a quite stirring version of Streetfighting Man at The Tempest. If so, then they couldn't have chosen more appositely. Both sets featured covers almost exclusively. At the time I thought 'Mr Guy Fawkes' was an original. I was aware that 'Get Together' was a cover but I thought (and still do) that DMS put more depth and colour into the song than The Youngbloods. At both performances Dave Miller acted a bit like a ringmaster and tended to bring more showmanship to the performance than did most of DMS' contemporaries. He did this without compromising any of the content, though. One track only: "Bright Lights, Big City"
"Hope" / "Havin' A Party" // "Why Why Why" / "Hard Hard Year"
"Mr Guy Fawkes" / "Someone Is Sure To" // "Get Together" / "A Bread & Butter Day"
Various Artists, incl. two DMS tracks, "Why Why Why" and "Hard Hard Year"
Various Artists - one DMS track, "Mr Guy Fawkes"
Various Artists compialtion, incl. one DMS track, "Mr Guy Fawkes"
3CD set compiling both 1970s 2LP sets plus additional tracks, incl. one DMS track, "Mr Guy Fawkes"
Our sincere thanks to the Miller family, John Robinson, Leith Corbett, Harry Brus and Pat Aulton for their invaluable assistance and cooperation in the preparation of this article, to Paul Scully for his recollections of DMS, extra-special thanks to Steve Kernohan for getting the ball rolling, and our thanks to Dave for his patience, enthusiasm and his willingness to share his amazing memories with us!